BoDean Company’s ability to provide a wide range of aggregate materials allows for many different uses and applications. Choosing the right product for your project is the most important step. From large boulders to the finest of aggregates, there are many options available and deciding which product serves what function and which is best for your project is something to consider carefully before making any purchase. If you are looking for an ultra-fine surface that still provides great compaction, fine aggregates may be exactly what you are looking for. Fine aggregates are essentially any natural sand particles won from the land through the mining process. Fine aggregates consist of natural sand or any crushed stone particles that are ¼” or smaller. This product is often referred to as 1/4’” minus as it refers to the size, or grading, of this particular aggregate. Fine aggregates are available through BoDean Company in ¼” minus, C33, Mark West Quarry Clay and “Quarry Fines”. This material is well graded for excellent compaction and contains no large aggregates or rock particles. Frequently referred to as washed concrete sand or manufactured sand, C33 refers to the grading or size of the material. C33 is a type of sand that meets the specific guidelines for concrete aggregates and the materials that are added into concrete before the product is put to use. These guidelines are set by the American Society for Testing and Materials (ASTM). For more information on washed sands and C33 available from BoDean Company, please visit our Washed Aggregates page. BoDean Company produces varying aggregate products from its two quarries, BoDean Forestville Quarry and Mark West Quarry. All aggregate material begins with the drilling and blasting of a mountainside, after which the products are crushed and screened. The screening process is where aggregates are sorted by grading. 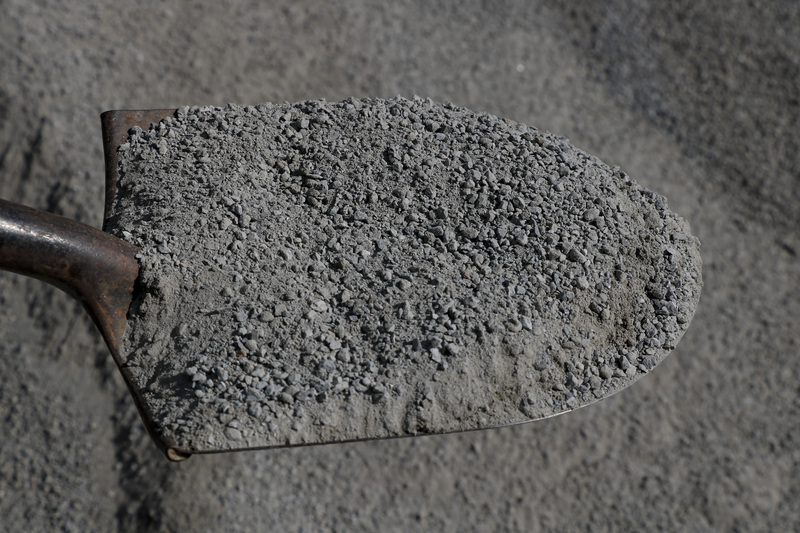 To be considered a fine aggregate, the material must pass through a 9-mm sieve. This ensures that the product can correctly serve its purpose and that all larger rock material is removed from the result. Fine aggregates are used in projects where a smooth yet highly compacted surface is desired. Fine aggregates are ideal for use underneath pavers, path fines, track fines, athletic infield material and can even be used as a soil amendment. Athletic Infield Material – Fine aggregates have shown to be an excellent performer in baseball and softball infields. Its rich color, for instance, in the Mayacama Red product, gives a professional look while its ultra-fine texture makes it ideal for sliding and performance. Selecting the appropriate materials for the base surface below the fine aggregate material will also determine the functionality and handling capability. A consultation with an expert is essential to choosing the right products for top performance. For more information on Mayacama Red, please visit the Mayacama Red page. Soil Amendment – Fine aggregates are often used by farmers to help create a healthy soil as it is thought to help improve mineral quality. Compacted Base – Fine aggregates, such as ¼ by zero, can be used as a base for pathways as it contains no rock particles. It can also be used as a base layer below the surface layer for horse arenas and horse stalls to provide a firm yet safer footing for the horses. BoDean Company produces many aggregate products all in compliance with local, state and government regulations and standards. BoDean Company prides itself on using everything that comes from the mountain to ensure the reduction of waste and fine aggregates are the finest material of all that is extracted from the mountainside. Land remediation is an immediate process with BoDean. Rather than depleting the mountain of all of its natural resources before remediation begins, BoDean Company re-soils and replants the land with urgency staying ahead of governmental standards and regulations. The fine aggregates mined at BoDean’s two facilities are unique as it is also available in a variety of colors. Specifically unique to Bodean Company’s fine aggregates are their availability in Mayacama Red(R). To ensure you choose the correct product for your project, BoDean Company experts are available for a complimentary consultation . Please connect with us at (707) 576-8205 or click here to request a free online quote.